Why Did Afghanistan's Spy Chief Just Quit? Afghanistan’s spy chief, Rahmatullah Nabil, resigned just as President Ashraf Ghani was returning from a brief trip to Pakistan to attend the Heart of Asia conference. The conference was widely seen as an opportunity for Ghani to start rebuilding relations with Pakistan and work toward restarting peace talks with the Taliban. But, it seems Ghani’s diplomatic maneuvers in Islamabad were not appreciated by all back home. At its heart, Nabil’s resignation–which Ghani accepted–is as much a protest against Pakistan’s meddling in Afghanistan as it is a backlash against Ghani for entertaining peace talks with the Taliban. 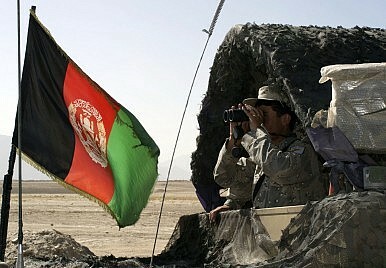 During the Heart of Asia conference, Taliban attacked the Kandahar airport. The death toll is now up to 50. Ghani appointed Massoud Andarabi, the NDS deputy, as active chief in the interim. While security continues to deteriorate in the country, Afghanistan has been without a defense minister for 200 days (as of December 10) or a little over six months. Mohammed Masoom Stanekzai has been acting defense minister since May 24, while multiple nominees to the post have been rejected.